"Recorded in Dublin 26/08/1987 Featuring Danny Thompson on bass" -at least that is what the credits say. In fact the recording took place June 1986, see below. Produced in association with Frontier Films and MCD Concerts. 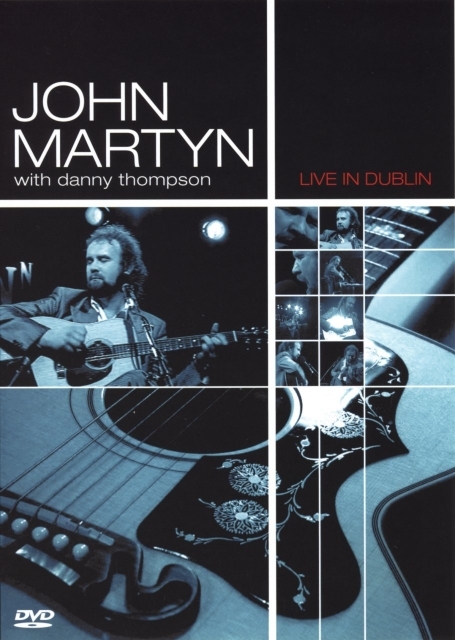 The series Live In Dublin consisted of eight live concert programmes shot between 1986 and 1990. They featured a wide range of contemporary musicians in performance in the Gaiety Theatre, Dublin. "Believe it or not, despite the fact that Danny and I have played together for about ten years, we never actually visited your wonderful country. So here we are." Artful's involvement is demonstrated by various misspellings: 'Bless This Weather' on the cover, 'One Day Without', 'Bless This Weather' and 'Our World' in the track menu. "The Irish recording of the DVD released in 2005 was recorded in June 1986 if this is actually the RTE recording. I was at this gig and one of the support acts was Andy White (who was dreadful!). I had tickets for the October 16th 1987 gig at the stadium but couldn't go (my grandmother had passed away the day before, so that's why it sticks in my memory) so I am 99.997% certain that the recording was in 1986. I also checked with my old school friend in Australia who I was at the '86 concert with, and he left Ireland early October '87, so its now 99.9999997% that the date was 1986." 02 Solid Air [6:43] "This is a song I wrote for a man called Nick Drake, who had a little trouble in his nut - lovely man though." 03 Sweet Little Mystery [5:06] With the red Fender. "Songs of misery and romance." "I like my son, you're OK over there, Baldy? - O they gave him a microphone, oh noo..."
06 Dealer [5:43] "We're not finished yet..."
07 Outside In [4:10] "So that was the hard stuff in the middle.."
10 One World [7:19] With the red Fender.